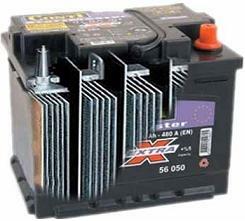 A Lead Acid Battery is made up of plates of lead in a case filled with an electrolyte (dilute sulphuric acid). When the battery discharges, some of the lead from the plates combines with the electrolyte to make lead sulfate (PbSO4) which builds up on the surface of the plates as crystals (as electrons leave the battery as electricity). This is called sulfation. When the battery is next charged this process is reversed with the lead sulfate crystals breaking down – returning the lead to the plates and restoring the electrolyte to its original composition. BUT, each time a battery goes through this discharge/charge cycle some of the lead sulfate crystals remain and over time harden, thicken, and grow over the surface of the lead plates. This is a particular problem when batteries are left discharged for long periods of time and when they are deeply discharged. Lead sulfate on the plates of a battery acts like an insulator reducing the plate area in contact with electrolyte. Over time this build up of lead sulfate crystals will result in a battery which cannot hold much charge – i.e. effectively a dead battery which needs to be replaced. Desulfation (also know as Reconditioning or electrolyte stratification) offers a way for dead batteries to be brought back to life and for tired batteries to be rejuvenated. It can also be used every few months to keep batteries in the best possible condition all the time. Desulfation will not bring batteries with a shorted cell or worn out plates back to their former glory, but it is a valuable tool for anyone depending on battery storage for power who cannot afford to buy new batteries. When lead sulphate crystals build up on the lead plates, it is not an easy task to remove them and thereby recondition the battery. Breaking down hardened crystal build up and dissolving cystals back into the electrolyte requires a charging voltage much higher than would ever be used to actually charge the battery. But, if you were to put this constant high voltage through the battery it would overheat, release gas, and could potentially explode. Therefore pulse conditioning is used to give very short blasts of high voltage sufficient to shift the lead sulphate crystals without overly raising the temperature of the battery as a whole. Every lead acid battery has a resonant frequency at around 2 to 6 megahertz. If pulses of electricity (high frequency, high voltage, but low power) are sent into the battery, rhythmic beating (resonance) of the plates causes the crystalline deposits to break up and the sulphate returns to the electrolyte solution. This process takes three to four weeks typically during which time the battery must be trickle charged(in parallel with the desulphator) so that the battery ends up reconditioned and fully charged. Below is a video showing the lead plates inside two identical batteries – one which has been desulphating for three weeks, and one which has been left in its original sulfated condition. Note that the voltage measured across the battery terminals will drop as the desulphation takes place as the internal resistance of the cells is reduced by the clearing of the crystals on the lead plates. At the same time, the amount of charge that the battery can hold will be increasing. A DIY battery desulfator circuit originally published in the US-based Home Power magazine has been successfully made for many years all over the world. Here are links to the instructions to build the Low Power (circuit design above, and finished example circuit pictured below) and the High Power versions of the circuit. These links are to be found together with a lot of other useful information here. For more infomation about battery desulfation, click here to visit the very useful Lead Acid Battery Desulfation Newsgroup. Also try this link to Mikey Sklar’s Mini-D 12V battery desulfator, and his second generation battery desulfator with the addition of a display and data logging.